The 2015 Ecsite Conference took place in Trento, Italy, on 11-13 June. It gathered 1,101 participants from 52 different countries, breaking an attendance record. 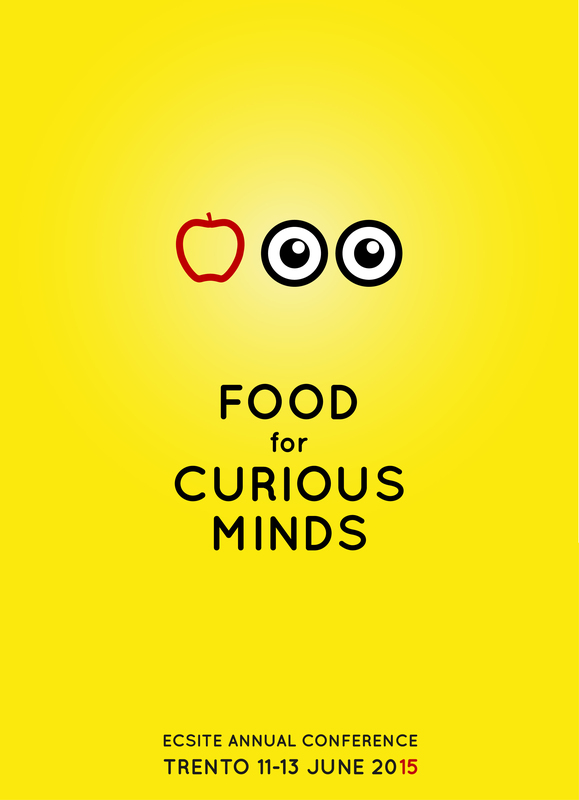 Look back on the appetizing “Food for curious minds” edition cooked up by conference host MUSE. Discover the final selection of conference pictures as well as the fun group shots taken during the Gala Dinner. The "Food for curious minds" theme offered room for countless metaphoric interpretations but also invited to tackle the concrete topic of food and energy, a burning global challenge. It was chosen to echo the theme of Universal EXPO 2015 in Milan: "Feeding the Planet - Energy for life", 1 May - 30 October. Science museums and science centres are proud to provide their visitors with food for thought. To feed savvy audiences delightful and novel flavours, science engagement professionals need to nurture their own curious minds! This is what the 2015 Ecsite Annual Conference provided: plenty of food - for body and mind. Find attached below: the First Announcement, Final Programme, Press release, Evaluation report and each day's Storify summary. Located in Trento (NE Italy), the Museum of Science MUSE is a public insitution devoted to people's science engagement. It is dedicated to research the natural environment & intepret the landscape, in particular of the mountain areas, to promote sustainable development and innovation. Browse the sessions from this Ecsite Annual Conference. I am head of Curatorial Deparment AII - Technology at the Deutsches Museum. Holding a PhD in physics, I first joined the museum as a curator of physical sciences. Since 2013, I also serve as the officer for national and international museum cooperation at the Deutsches Museum. I am Reader in Science Education at King’s College London. My research interests include the pedagogical practices of museum educators, the practice of environmental education, and equity and social justice in both school and out-of-school settings. I have also worked in partnership with museums across the UK and Europe conducting evaluation studies, and facilitating collaborative learning projects between individual museums, and between museums and schools. I have been CEO and a first employee of Techmania Science Center since 2006, Pilsen, Czech Republic. I have been a Chairman of the board of the Czech Association of Science Centers since its beginning in 2014. I have earned my master’s in education and I am focused on learning especially the way students can get skills needed in the 21st century through the cooperation of formal and informal Education. I am Head of Communications & Marketing at the Museon (The Hague), since 2012. As a member of the management team, I am involved in a wide range of policy areas and play an active part in formulating the museum concept, devising a vision and planning for the future. The Museon is a partner in various international projects and I am responsible for the management of these. This includes the overall management of the High Tech Romans project, which is in the hands of the Museon. I was a member of the programme committee of the Ecsite Annual Conference between 2009 and 2017. I am also an elected member of the board of the VSC (the association of science museums and science centers in the Netherlands and Flanders) and chair of the editorial committee of Spokes, the monthly online magazine of Ecsite.